Thanks for doing a great job. I'm really impressed with the efficiency and the high level of customer service that I've received. 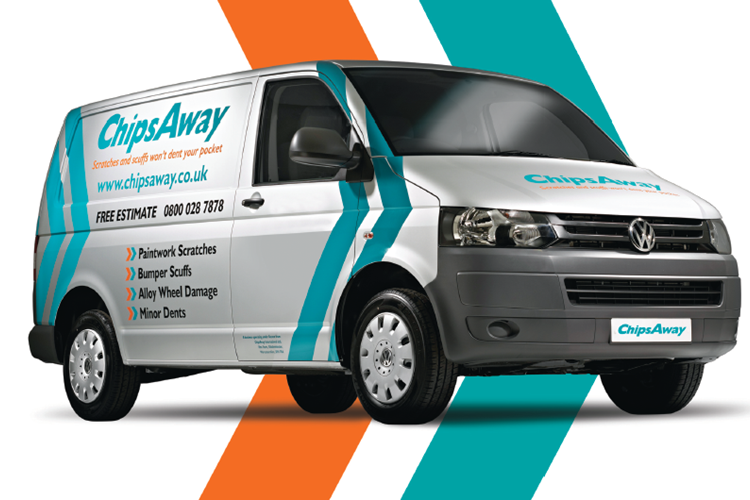 I thought that the whole request for a quote and job assignment process via the ChipsAway website worked particularly well and, of course, backed up by people who know what they are doing! Thanks again. Paul Mansell repaired the scratches on the bumper on my Nissan Micra this morning. My car is pearl white, which must be a tricky colour to deal with, and I would just like to say that he has done a fabulous job on it, returning my lovely little car to its former glory! Please convey my thanks to Paul for such a professional job. Thanks for your receipted invoice and for the brilliant job you did on my Skoda. Sorry I didn't thank you properly at the time - as you realised we had a family emergency. We were singing your praises yesterday and will recommend you to our friends. Paul did a great job. Quick estimate, arrived for appointment exactly as arranged and did a superb job. Would absolutely recommend him. Dear Paul, Thank you. I'm really pleased with the finish & well chuffed. Job well done. We were most impressed with Paul Mansell's service - punctual, very nice professional manner, excellent finish on the bumper. (The damage was quite a bit more that just chips and scratches - now back to "as new" condition.) Would happily use him again and recommend him to others. Paul Mansell has repaired one of my cars before, so he was the one I contacted to do a bumper scuff on my wife’s car. His attention to detail and workmanship are excellent and would have no hesitation in recommending him to family or friends. Thank you Paul for doing a very professional job on my bumper today, we are very pleased with the results, and would happily recommend you to family and friends. Excellent job done. Used Paul Mansell from ChipsAway before and was very pleased with work done. Would definitely recommend Paul. A fast efficient and thorough service. Paul Mansell arrived early as he thought the weather was going to deteriorate. He was meticulous in his preparation and the finish was excellent. He was very friendly and knowledgeable. I would recommend this company to anyone. Used the services of Paul Mansell, Stourbridge, and couldn't recommend him highly enough. Friendly, pleasant and very helpful and efficient from initial contact to providing a very competitive quote, and then carrying out the work required. Did an excellent job resulting in a superb finish on my car. Paul Mansell was timely, efficient and courteous. He did a very good job at an extremely reasonable cost. This is the second time of using ChipsAway and would not hesitate to recommend them. Paul Mansell did a brilliant job on my poorly black golf. Now looks like it's never been out of the showroom !! They say you can tell the professionalism of a Company by the way it handles a complaint. My wife's car suffered a supermarket car park scratch and Paul Mansell spent over 2 hours preparing and respraying it. It looked good. It was getting dark when he left however and the next day I noticed that in daylight there was a mismatch in ... Read more the paint colour. On contacting Paul he immediately arranged to return and sort it out. No quibble. Apparently there had been a technical error in formulating the correct paint mix and after a respray the colour is now spot on. I have no hesitation in recommending Paul not only for his integrity but for his pleasant and friendly manner.